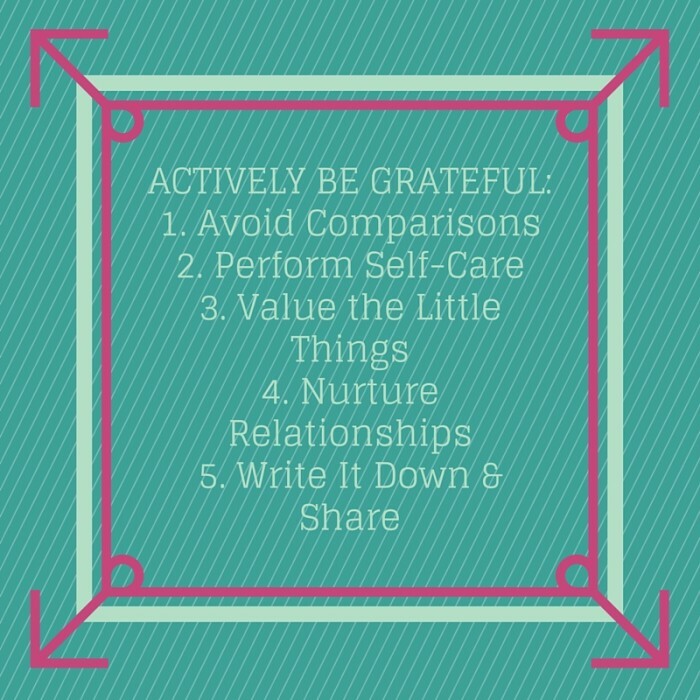 Steps to help you actively become more grateful!!! If you follow along regularly with us here, you know that we have been experiencing a season of grief. My mom passed away in March from Pancreatic Cancer, and I took a step back from blogging and social media. Mostly because I needed a break and time to be with family but also because life had become overwhelming with the loss, with needing to pack up our old place and find somewhere new to live, with planning for the baby, with talk of budgets, finance, new cars, etc. The last month left we feeling raw as I put together my baby registry and settled into a new place, wanting to ask mom questions, and the last 3 months as a whole have left me drained of any creativity or wit to share with you all. Despite the grief and loss and stress, the overwhelming combinations we all feel and experience in life, I also have a need to start feeling like myself again. And not when I’m hanging out with family and friends, distracted, but when I’m by myself at home. I want to get back to work here and I want to get back to a sense of routine. 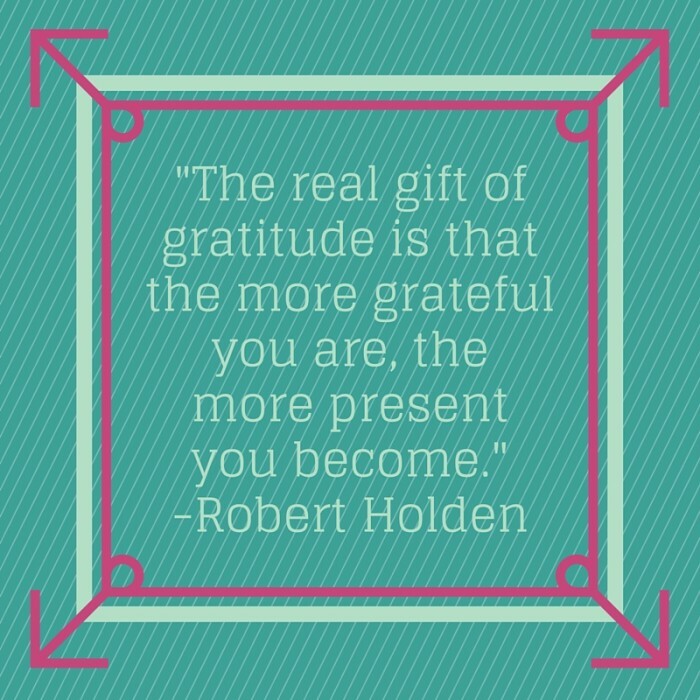 One of the ways I am doing this is by actively remembering to be grateful. Yes, you might think this sounds corny. And maybe it is. However, I have found it so much easier to count up the things I am missing lately, the things that I don’t get to have or experience, and that sort of attitude is not healthy over time. I don’t want to miss the joy in the positive things that are happening, and it is so easy to do. Avoid Comparison – This might be my biggest pitfall right now. When I find it happening, I have to force myself to switch gears, change the subject, push through really hard to find a positive. Self-Care – Even on the bad days, I actively make sure I am taking care of myself. Sometimes that means reminding myself to get out of bed and eat a healthy breakfast. Sometimes that means cutting myself some slack and taking a nap after unpacking our living room. 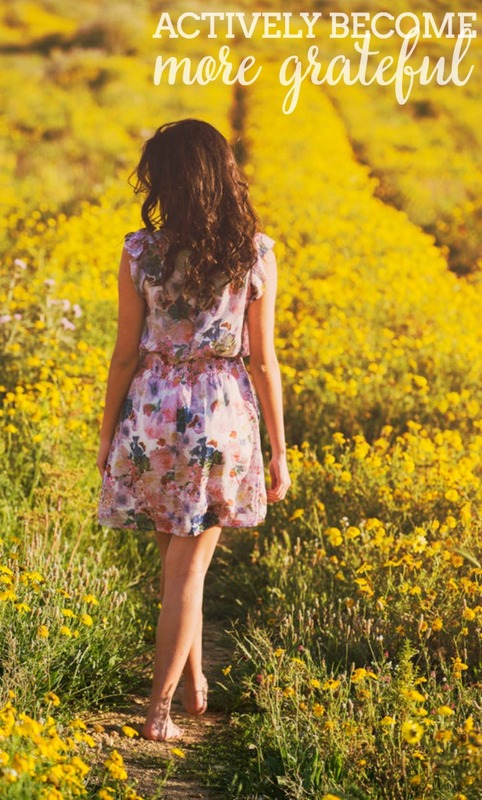 Value the Little Things – I find that people often tease others for finding high value in small things, such as a new mom who celebrates getting a shower in that day, a person who reaches a new exercise goal which might be just walking around the block, or a person excited for the last book to come out in a series. Being happy about the small things leads to an overall happier person, plus it is a practice in gratitude. If we can’t be grateful about the things we already have, no matter how small, how will we be happy when we get more? Nurture Relationships – Find a way to foster the relationships in your life, even when they’ve been a struggle for you lately. I found myself pulling away from a lot of friendships because I didn’t know what to say or wasn’t “fun”. Reaching out to a friend or making time for Bryan and I makes me feel more connected to and grateful for the people around me. Write it Down and Say It Aloud – This is the most important step for me. I can’t just say I am going to be more grateful. I have to actively do something about it. Writing it down is always a good bet for me because I have to commit to writing it on paper and have it to look at again later when I’m struggling a bit more. I also try to pair this with #3 and tell people I am grateful for their friendship, their support, or something more tangible that they did for me. MY HUSBAND – He has been my rock. Even through normal relationship annoyances and forgetful husband moments, I am thankful for him each and every moment. We normally balance out each others crazy and that’s what you need when going through life’s ups and downs. OUR BABY – This pregnancy has been very bittersweet, causing such happiness and such grief at the same time. I thought I would have my mom. But every time I feel our baby move, I am thankful. Every time we talk about bringing the baby home or having our first night as a family around a warm fire or our first Christmas as a family, I am thankful. OUR NEW APARTMENT – We have been living on a college campus for the last 4 years. It was a nice apartment for college living in a gorgeous part of Chicago, and it was our first home together as a married couple. We loved it, but we did not love many of the restrictions that come with living on a college campus or the intoxicated students yelling outside our window at 2am for a double cheeseburger. We have been in our new apartment 2 weeks tomorrow and while it has been a very stressful situation, I am very grateful we found a place we love, in a good area, with a room for our baby. I get to actually decorate a nursery, something I would not have been able to do at our old place. This apartment offers many new opportunities for us, and I need to remember that through the stress and exhaustion of moving. OUR FRIENDS AND FAMILY – Having strong bonds with family and friends help you get through even the hardest of times. I am thankful for all the support I have received lately, but, even more so, I am thankful for the laughs I have had. I am thankful for the distractions, the occasional moments of normalcy, and the new memories made. MY JOB – For the last few months, I struggled feeling excited about my job. Creativity and the desire to write doesn’t always come easy when life gets hard. Bryan even asked me once if I wanted to continue, but I quickly said of course because I do. I love my job. More than that, I am thankful for my job. I may not always reach my business goals for certain pageviews or monthly income, but I do contribute to my family. The Love Nerds paid for our last trip to Disney, something I never thought it would be able to do. But more importantly, my job allows me the freedom to spend time with my family and friends when I need or want to. Because of The Love Nerds, I got to spend 1 or 2 days with my mom most weeks between her diagnosis and losing her, and it allowed me to spend a lot of time with her before that, as well. I will get to stay home with our baby while still working, something I personally care about. None of that would be possible without an awesome blogging community though. I am lucky to have made such amazing blogger friends who offer support, share my work, and brainstorm ideas with me and to work with some amazing companies!